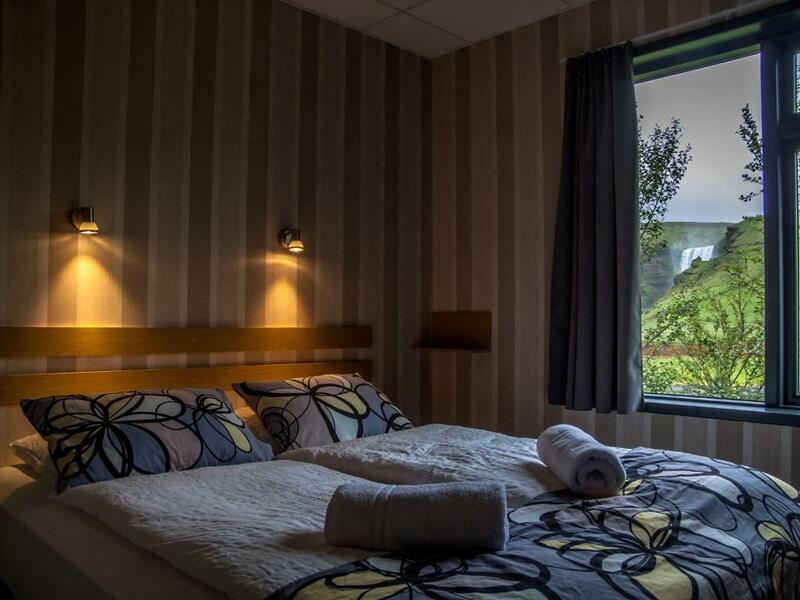 Lock in a great price for Hótel Skógafoss – rated 8.3 by recent guests! Wonderful and very helpful staff. Absolutely loved the hotel staff for their services and friendliness. 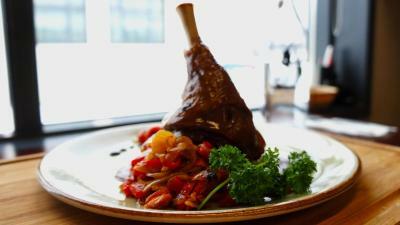 Good location and amazing food in the restaurant. 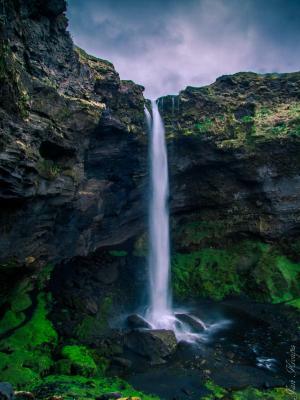 Great location right at the waterfall. Naturally heated water smells somewhat sulfuric but that’s natural. 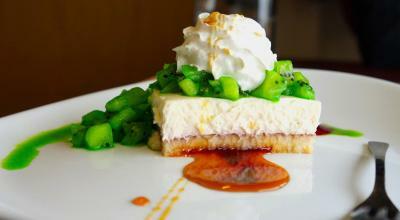 Great staff and good food. Breakfast included. 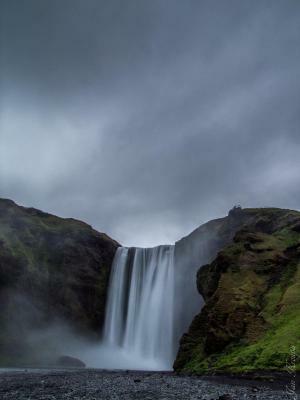 The location is PERFECT for access to Skogafoss, Kvernufoss, the Skogar Museum, etc. Staying at the location provided great opportunities for photos and exploring before or after the tourists crowds passed on. Managed to see the Northern Lights from our bedroom window (double with a view). 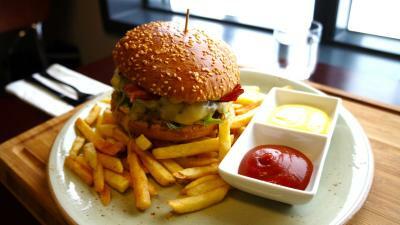 The restaurant had the most choices of any restaurant we stayed at, and to be honest eating a hamburger was great. The room in the hotel was clean if basic. Bathroom was plenty large. Beautiful view of waterfall from room and breakfast area. 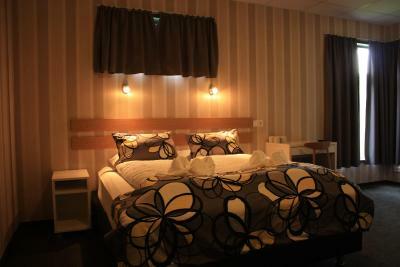 Clean, well furnished room. Friendly staff. Easy parking. Great spot for aurora hunting; very little light pollution. I like the location and the ability for the children to have their own beds in our room. 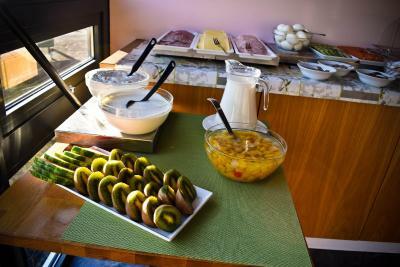 The location, accommodations, staff, price, and included breakfast all met and exceeded my expectations. 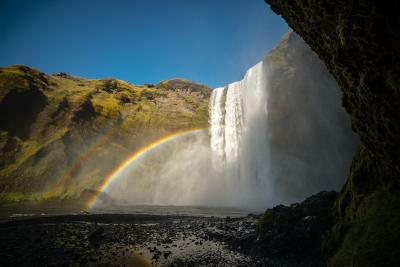 The place was very close to the waterfall Skogafoss. Food at the restaurant was also good and not so expensive. 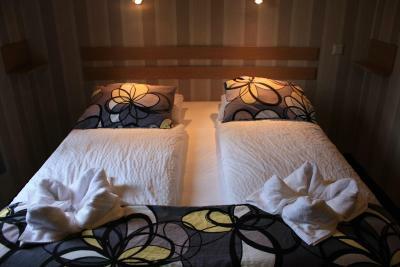 Rooms were clean and they even prepared flowers for us because it was our honeymoon. Breakfast was OK. Room was comfortable, and the bathroom was nice. 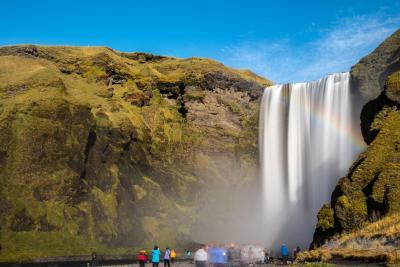 Set by the spectacular Skogafoss Waterfall, this hotel offers an in-house restaurant and guest rooms with free WiFi and a tiled bathroom with shower. The Route 1 Ring Road is 0.6 mi away and Vik is 19 mi away. 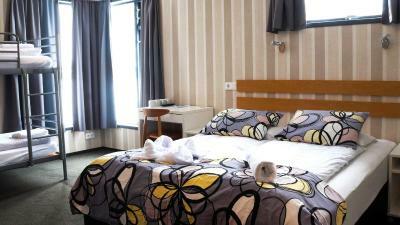 All guest rooms at Hótel Skógafoss have a satellite TV and private bathroom. 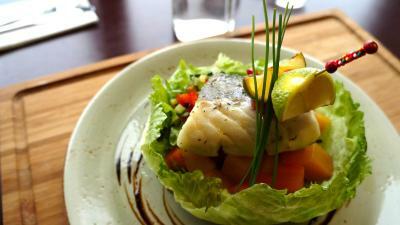 Using local ingredients, the spacious restaurant offers a menu of traditional Icelandic foods and modern-day favorites . Guests can relax with a drink in the hotel bar. 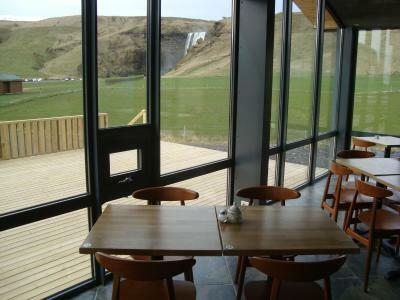 Additional facilities at Skógafoss Hotel include a tour desk and shared lounge. 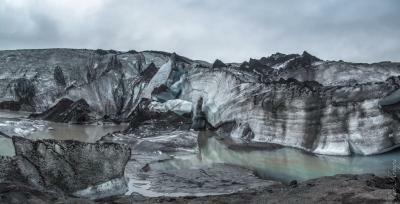 The hotel is located at the foot of the Eyjafjallajökull glacier. The open-air Skógar Folk Museum is a 5-minute walk away. Hvolsvöllur town center is 31 mi from the hotel. 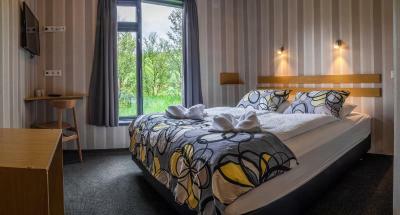 When would you like to stay at Hótel Skógafoss? This room has a wardrobe and satellite TV. This room has a wardrobe and satellite TV. 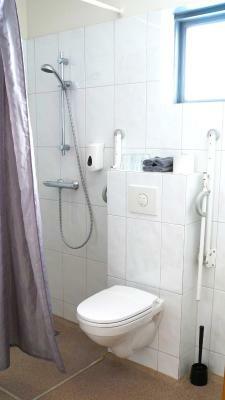 The private bathroom has a walk-in shower. 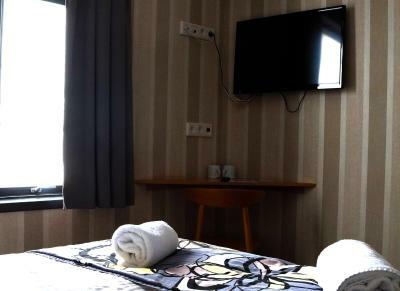 This room features a view of Skogafoss Waterfall. 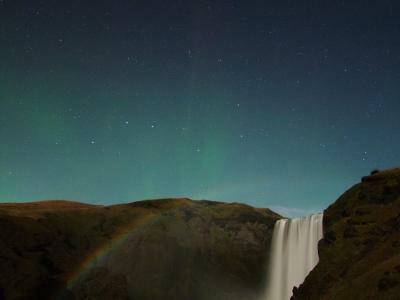 House Rules Hótel Skógafoss takes special requests – add in the next step! 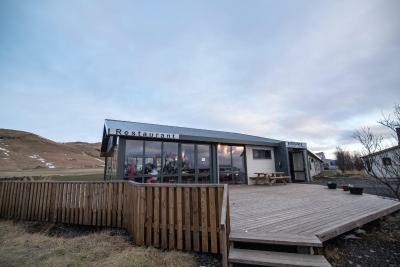 Hótel Skógafoss accepts these cards and reserves the right to temporarily hold an amount prior to arrival. Liked everything but room was a tad small. Location was incredible, views over one of Iceland’s biggest waterfalls. Worth the the money to pay for the view. Included breakfast was good. 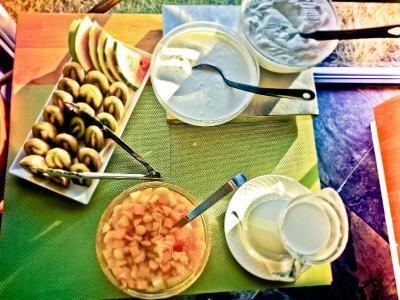 Breakfast can be better regarding to the price of a room. Great location next to the waterfall, but that's it. Good for spending one night and then moving on. 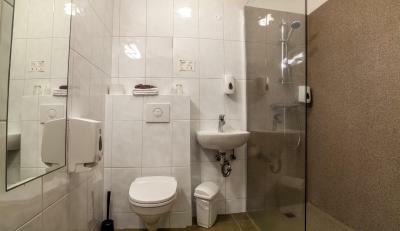 Very basic room and egg smelling (apparently thermal heated) shower. Nice breakfast. This was the most expensive place we stayed, and with that in mind it would've been nice to at least have a kettle in the room. And a hairdryer! Excellent location with a great view of the waterfall. Large spacious room. 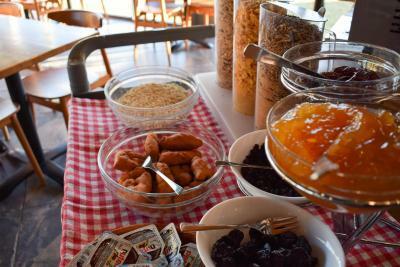 Breakfast was very nice, and friendly staff. Easy access to the falls, parking right outside the reception, not having to walk a lot with bags and suitcases. The staff was amazing ! 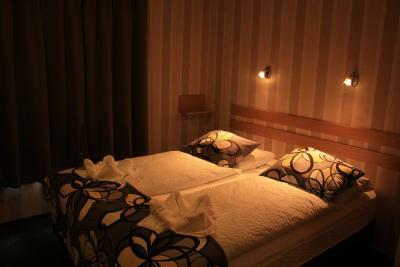 I had expected something more welcoming and comfy when I compared the cost and other hotels we stayed in during our Iceland visit. The room was functional and clean. A better view from the room would have been nice, our window was almost opposite another room and so it didn't feel as private as I would have liked. 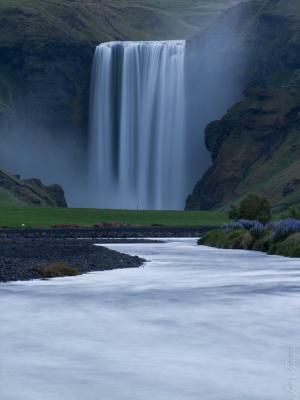 Stunning location next to Skogafoss waterfall. 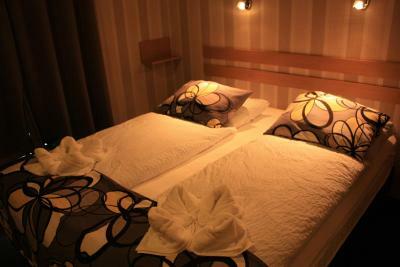 The room had everything we needed and the staff were very friendly. 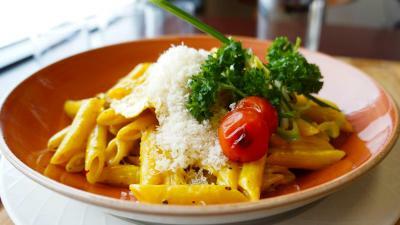 We also ate at the hotel and can highly recommend the food too! Nice little hotel in south of Iceland, it has fantastic views of the waterfall from the bedroom we were in and from the bistro! While the menu was a bit limited the food was excellent...the bar was well stocked with local beers and whilst the Bistro is busy during the day (tourists/excursions) in the evening its a great place to sit, eat and enjoy the views. Nothing. I would stay at this hotel with my family again if I ever visit Iceland. 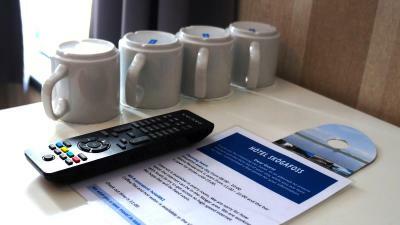 Even tea and coffee are in the common area for everyone. 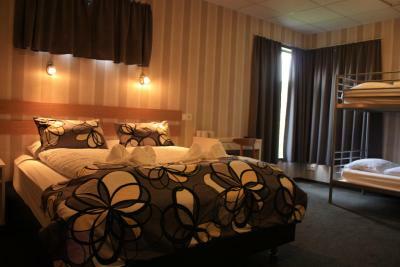 Small basic rooms but walking distance to waterfall. Internet was bery slow and only allowed 2 devices to connect at a time (so it seemed). The location, its right next to the waterfall. The room was a bit crammed for 4, with one bunk bed. 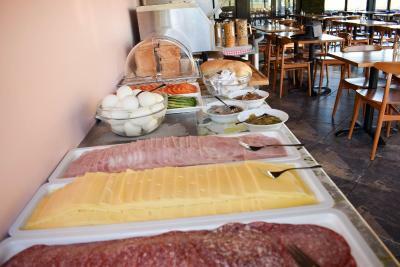 The best part was the restaurant which served excellent meals and a good brekky. The dinner at the restaurant wasn't quite as good as some of the others I had in Iceland. I had the ribs and they tasted very tough with some barbecue sauce off the shelf... not the slow cooked version I'm used to in the US. 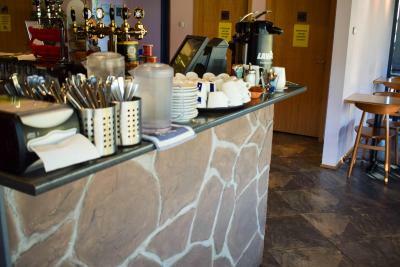 The Lava Cafe over in Vik was tastier. 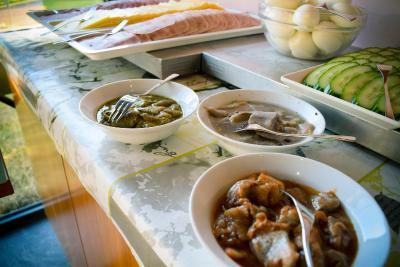 The Breakfast however was great! This place is all about the location. Amazing view, and a short walk to the waterfall and hiking trail up the side. 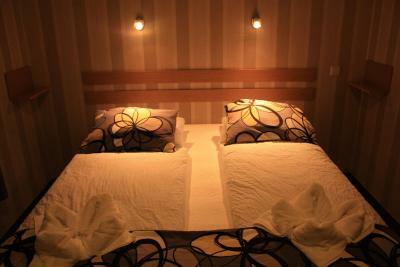 The place was small and clean, no complaints.